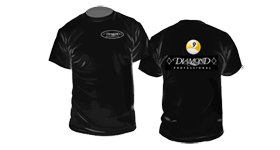 DiamondPoolTables.com and ManningCues.com are Diamonds Billiards Exclusive online retailer in the USA and Canada. We're confident we're offering you not only the very best billiard products, but the very best prices on those genuine products as well. Every item is priced with Diamonds factory direct pricing and backed by Mannings 5 star proven customer service. At DiamondPoolTables.com, Heath Manning has gone to great lengths to ensure that his customers receive not only the best genuine products, safe and secure ordering but most importantly, genuine customer service. When you call DiamondPoolTables.com you'll speak directly to Heath Manning and not a inexperienced sales rep with little or no experience in Diamond Billiards equipment. Heath Manning will provide you with the product knowledge and answer your questions honestly so that you can make a confident, educated decision before purchase with no pressure to buy. You can buy with confidence knowing you're paying a factory direct price and receiving genuine equipment. Honesty, integrity and respect go along way and knowing your personal information is safe and secure is very important. Heath Manning will treat you the way he would want to be treated. Items must be from the same manufacturer and same make and model. Price differences must include all applicable charges including shipping, custom work, taxes, etc. Should products be deemed below a manufacturers MAP (Minimum Advertised Price) or other guidelines set forth by the manufacturer, items may not be subject to the price match guarantee.